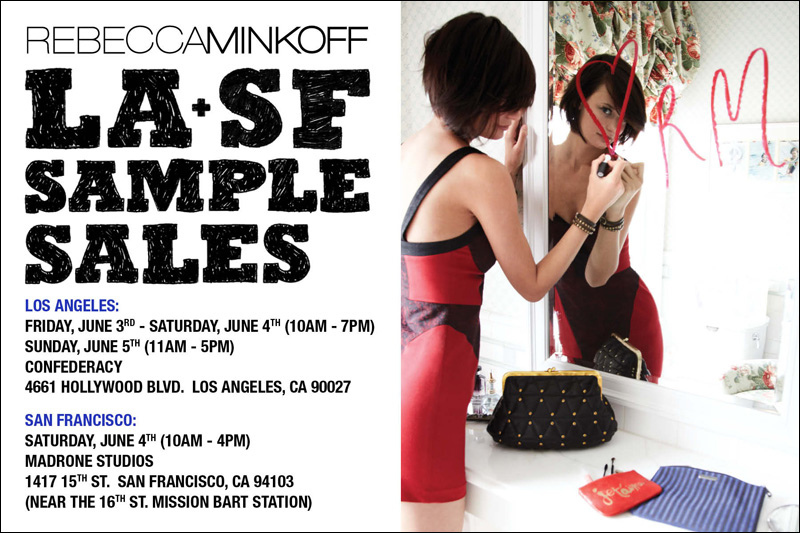 Rebecca Minkoff Sample Sale in SF this weekend! SF ladies! This will give you a good reason to get up early on your Saturday morning – indulge in the NYC-based designer’s handbags and accessories (Beloved Mini, Studded Rocker and more) for around 40 percent off regular prices!!! Let me know if you find some deals! !